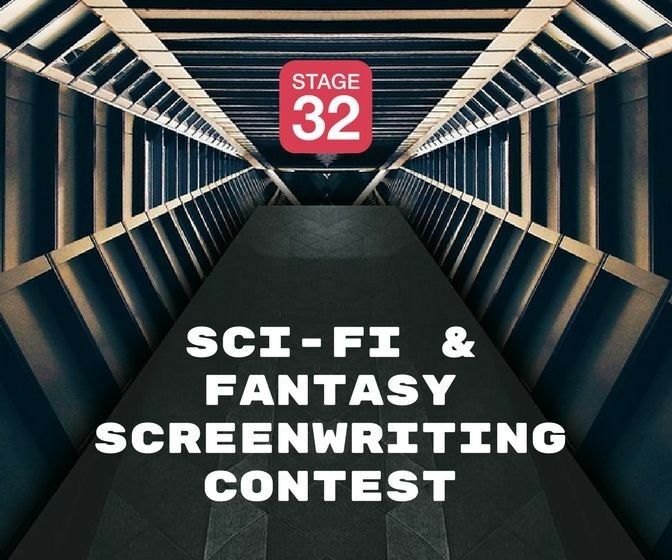 After our inaugural Sci-Fi and Fantasy Contest resulted in our winners getting optioned and commissioned to write scripts for major producers, we are excited to bring back this highly popular screenwriting contest! We are on the hunt for our most talented writers bringing us mystical, magical and intergalactic worlds. As with all our writing contests, we aim to provide you with the tools and resources needed to excel in this industry and grow as a professional. We give our writers the opportunity to meet with industry veterans, with the grand prize winner being flown out to Los Angeles to meet with top executives that can really help move the needle on your career. What Types of Scripts Can Enter? All types of sci-fi and fantasy feature scripts can enter. No shorts or TV pilots will be accepted. For an additional fee of only $49 (50% savings!) you can receive full coverage from our industry readers on your screenplay. Just check "coverage" upon checkout. Coverage will be returned after the winners are announced. Have a great story? Start writing! Our judges can't wait to read your scripts! A round trip plane ticket to Los Angeles, CA with scheduled meetings around town with executives. Our First Annual Stage 32 Fantasy & Sci-Fi Screenwriting Contest winners had incredible success! Our Grand Prize Winner Ben Gross, writer of THE LADIES' GUIDE TO HACKING met with and is working through concepts with manager Daniel Vang from Good Fear Film + Management, has been commissioned to write a script for Daniel Herther, VP of Development from Baker Entertainment Group and met with Spencer Malof from the Illusinarium and met and was mentored by Marc Zicree (Star Trek, Battlestar Galactica). Our 2nd Place Winner, Ryan Lee, writer of TOWER 9 was optioned by studio producer Mitchell Peck! Want to see the successes of ALL Stage 32 contests? CLICK HERE! Veteran Craig Baumgarten is one of the most sought after manager and producers in the industry having a long and storied career. He is currently a Manager at Zero Gravity Management, with his own production company Baumgarten Management & Production. Prior to this, he served as VP of Paramount Pictures, Executive VP of Columbia Pictures, President at Lorimar Motion Pictures, Executive VP at Twentieth Century Fox, Partner at LINK Entertainment and Manger at Zero Gravity.. Upon leaving the studio system, Baumgarten became a successful independent producer. Among the many films he produced or co-produced are Hook, directed by Steven Spielberg; Shattered Glass written and directed by Billy Ray; The Order written and directed by Brian Helgeland and staring Heath Ledger; William Friedkin’s Jade; Disney’s Blank Check; It Could Happen to You (starring Bridget Fonda and Nicholas Cage); Love Stinks; Universal Soldier, directed by Roland Emmerich; and Never Back Down starring Djimon Hounsou. His clients includie: Dolph Lundgren who is in the James Wan film Aquaman; the seven-time Grammy winner and TV star Toni Braxton; director Rob Cohen, Category 5; Roland Joffe, The Forgiven (starring Forest Whitaker and Eric Bana) as well as the TV series Sun Records; iconic writer Joe Eszterhas (who scripted The Lady of Guadalupefor Mark Burnett and Roma Downey at MGM); and multi-hyphenate Michael Jai White. Stephen Jones has been in the entertainment industry for over three decades working on some of the largest studio, independent and television productions. Getting his start as a production manager, Stephen moved into line producing, UPM, and is now an executive producer on some of the biggest blockbusters of the recent years including: Wonder Woman (2017), Star Wars: Episode III – Revenge of the Sith (2005), and Maleficent (2014). With decades in the business and now managing her own talent agency, Shawn Burns has represented some of the top VFX, SFX, and Design Talent who have worked on incredible productions such as: Altered Carbon, Avengers: Age of Ultron, Thor: Ragnarok, Star Wars: Episode 1 – The Phantom Menace, Star Trek: Beyond, Passengers, and Mad Max: Fury Road.